Feel like you’re adrift in the digital world? 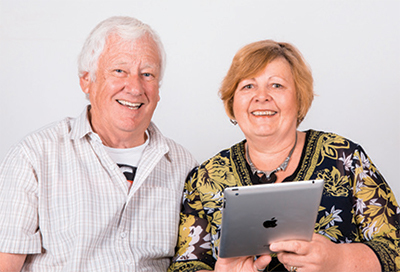 Join us at this Seniors Card Age Friendly Partners Program designed to give older people in regional and rural areas of Victoria the opportunity to develop technology skills for socialising, accessing important services and conducting personal business. Each session is stand alone. Sign up for one or multiple sessions - see upcoming sessions below. BYO device or use on supplied by the library. The program includes training DVDs which can be borrowed from the library - check the catalogue here. Visit our eLibrary for free access to online training courses for members, as well as a range of other eResources. The library offers a range of services for Seniors - see details here.